Sometimes it is the little details that we tend to miss and ignore. 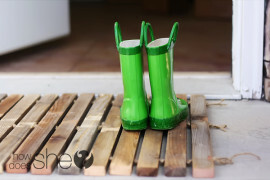 And yet, it is these tiny improvements that completely alter the look of your home and give it a more impressive, curated appeal. 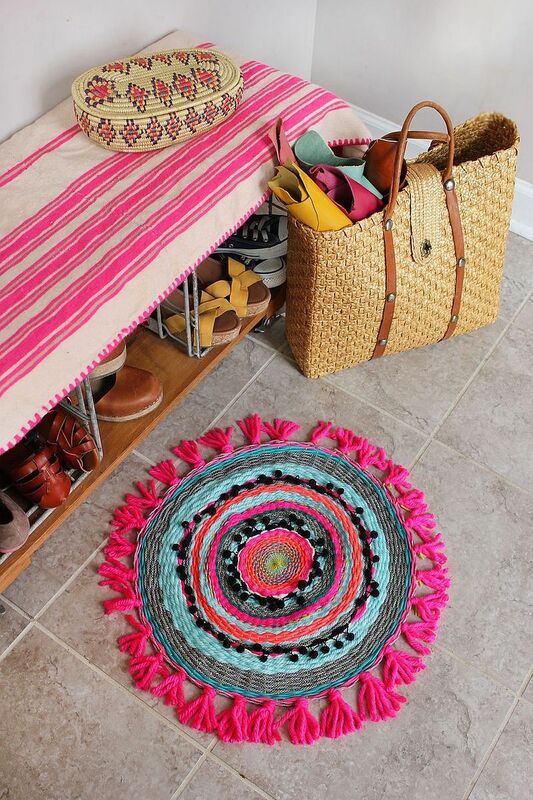 Rugs and mats definitely fall under this ‘oft-overlooked’ category. 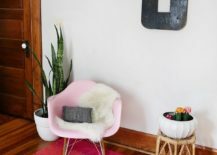 It is easy to ignore them because your focus is firmly at your eye-level and this means walls, décor and lighting tend to take up most, if not all, of your time. 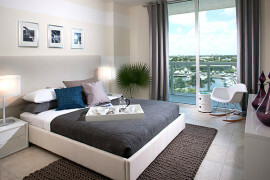 But rugs and mats make a huge difference to the overall ambiance of a room. Even in rooms as special as the Oval Office where it is a carpet with the Seal of the President that often commands the most attention! 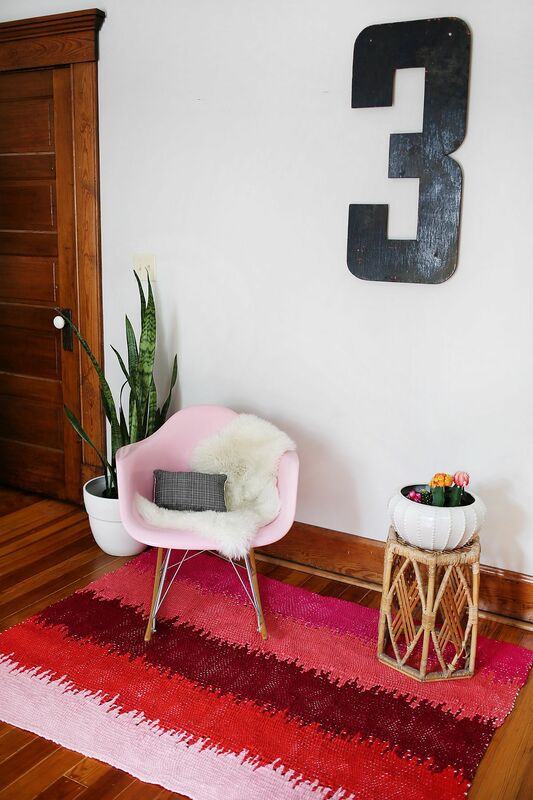 Sure, you might not want your living room to feel like the Oval Office, but the appropriate rug can give the space an instant facelift. But we want to do that on a budget and with a dash of creativity. 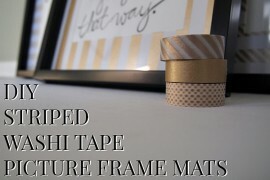 Enter DIY rugs and mats! 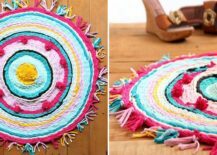 That is right, today we are flipping through the 10 best DIY rugs and tutorials that help you in replicating these deigns. 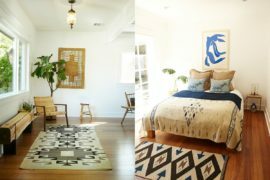 As always, feel free to play around with the colors involved and other nuances to ensure your DIY rug fits in perfectly with the existing décor. There are plenty of different directions in which you can go when it comes to the living room rug. We suggest the best directions the one that allows you to blend the new, homemade rug with the existing style and appeal of the space. Since white is the color of choice for the backdrop in most living rooms, a vivacious rug with pattern and color looks great. You still want it to have largely straight lines and a touch of simplicity. 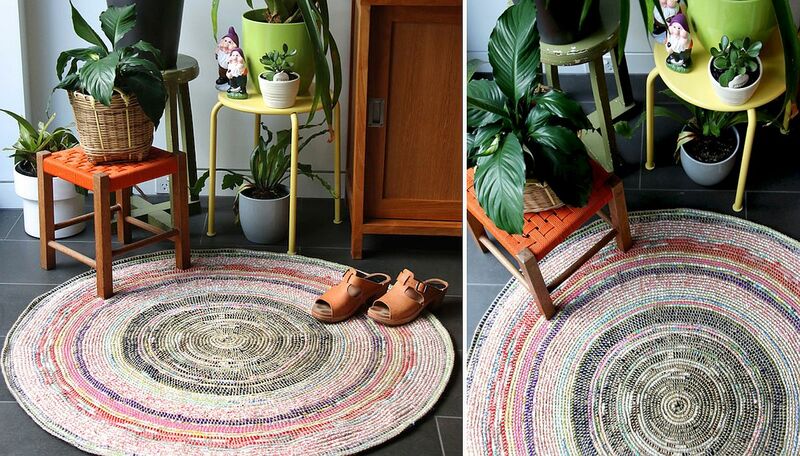 The DIY Static lines woven rug is perfect in this regard. It is not too hard to craft and works in most living spaces. 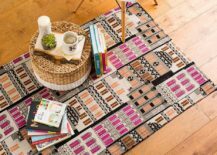 The DIY geometric rug from Its Pretty Nice is another elegant alternative for those who do not wish to move away from contemporary style while the Cheap and easy homemade rug is all about color, design flexibility and an ability to bring the trendiest colors and patterns on the cheap. We do get tired with more of the same all the time and crafting is definitely all serious business. 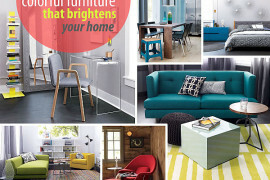 It is in fact, more about finding ways to express yourself and giving your home a unique identity of its own. 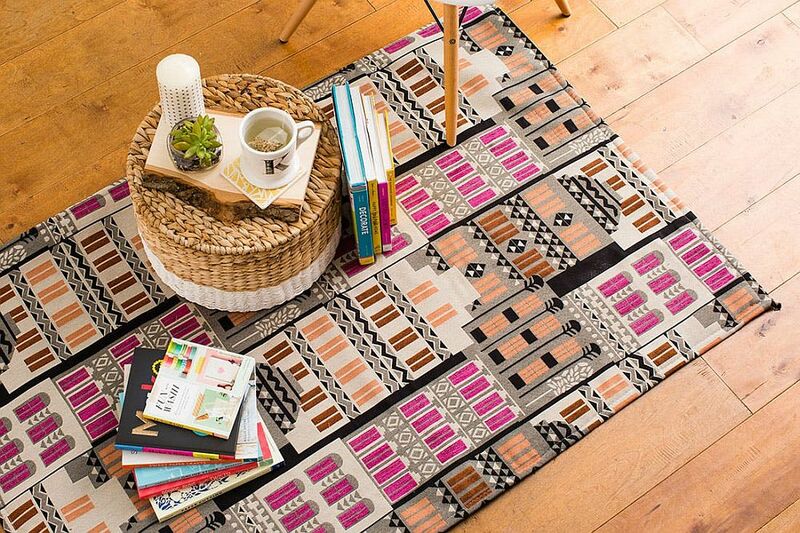 That is why we absolutely love the rugs showcase in this section. 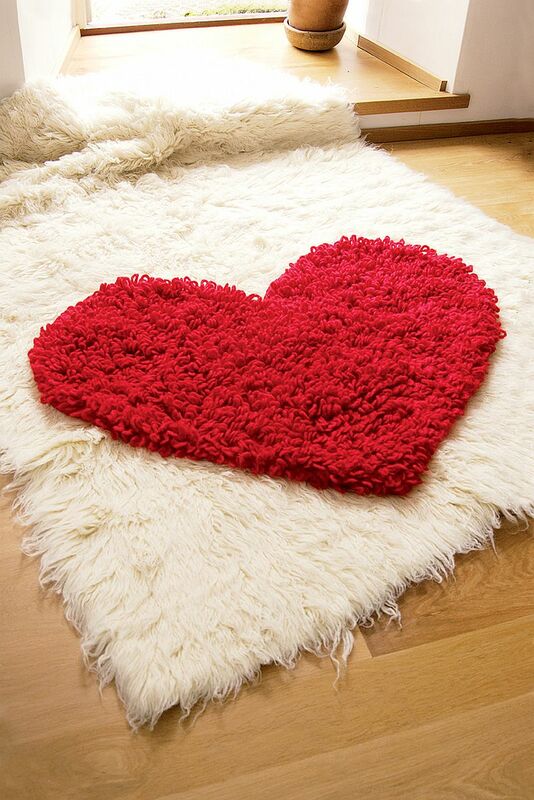 The 8-bit Mario rug is bound to be classic that everyone loves while the giant, fuzzy heart is a way to spread love beyond Valentine’s Day. 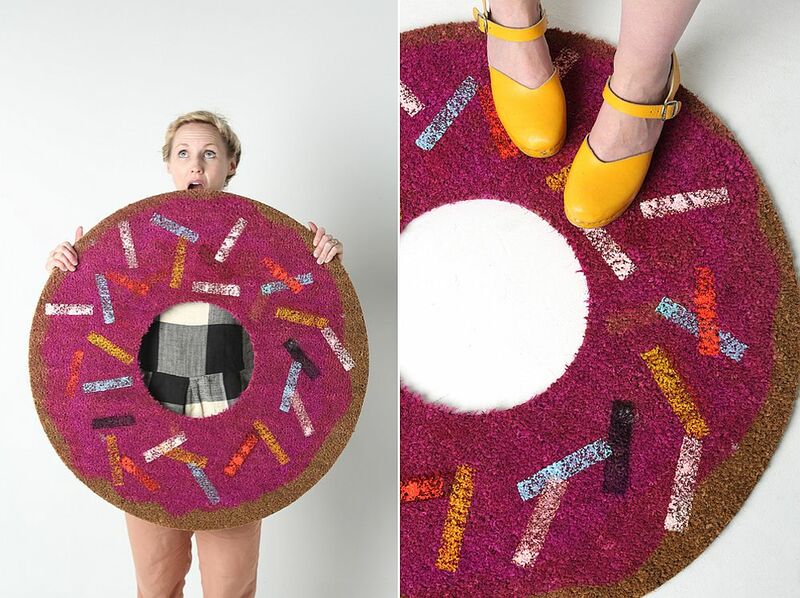 Then there is the gorgeous and irresistible DIY donut rug; a treat in every sense of the way! 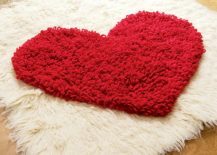 It is never too late to add a heart to your home! 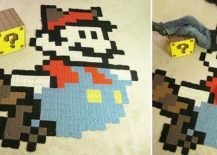 8-bit Raccoon Mario Rug for those who love the Nintendo world! 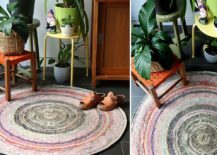 The circular mat and rug have a completely different visual presence when compared to their more stoic and contemporary polygon friends. The circular rug helps create a focal point in the room and if you have a round coffee table or dining table, then it complements its silhouette beautifully. 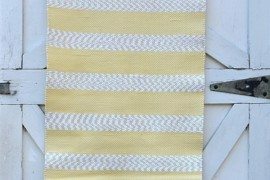 The rope swirl tapestry allows you to move away from the mundane while the coil and crochet rug feels understated and classy. 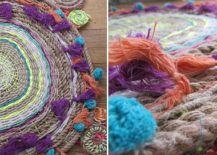 From old t-shirts being turned into new rugs to colorful rags that can be transformed into striking mats, it is all about patiently making the perfect rug!